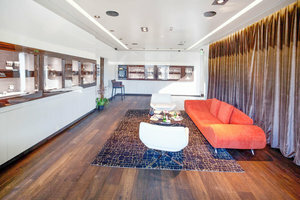 This luxurious showroom boutique in the heart of West Hollywood is perfect for brand looking to host an upscale Product Launch, Pop-Up Store or Fashion Showroom. 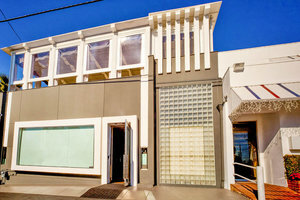 This boutique embodies the architectural style of Southern California. It features mahogany wood floors and an open-air floor plan. The multi-level space provides the perfect, chic setting to display statement pieces. 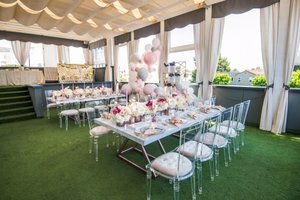 On the ground floor, the expansive window displays face both the outdoors and indoors and the display cases inside are lavish with velvet bedding, wooden platforms and glass windows that are operated with a remote control. 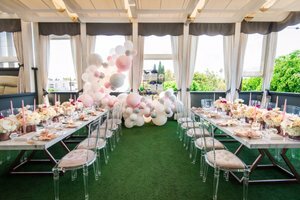 The second level features panoramic balconies that offer shoppers stunning views of Melrose Avenue and provide the perfect space to entertain influencers and fashion insiders alike with an exterior bar and lounge area. 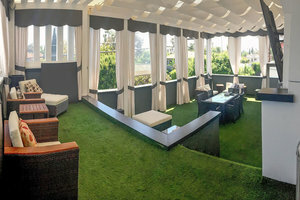 Located close to Melrose Avenue, this space is easily accessible. It is an ideal opportunity for brands and designers to host an unforgettable retail or fashion event.